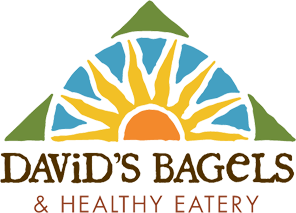 Please note that http://www.davidsbagels.com does not permit the return or offer refunds for the online orders. However if you are not satisfied with your ordered items or service, please contact (845) 639-1664 as soon as possible. The materials found on the Web Site are protected by United States and other copyright laws, except for works of the United States Government pursuant to 1 U.S.C. Section 105. The selection, arrangement and presentation of all materials (including information in the public domain), and the overall contents of the Web Site are copyright ©2017, David’s Bagels (New City). Permission is granted to view and print materials from http://www.davidsbagels.com for the non-commercial purpose of viewing, reading and retaining for reference. Any other copying, distribution, retransmission or modification of information or materials on this site, whether in electronic or hard copy form, without the express prior written permission of David’s Bagels, is strictly prohibited. David’s Bagels is a trademark or service trademark or service mark of David’s Bagels. http://www.davidsbagels.com DOES NOT MAKE ANY EXPRESS OR IMPLIED WARRANTIES, REPRESENTATIONS OR ENDORSEMENTS WHATSOEVER (INCLUDING, WITHOUT LIMITATION, THE IMPLIED WARRANTIES OF MERCHANTABILITY OR FITNESS FOR A PARTICULAR PURPOSE) WITH REGARD TO THE WEB SITE, THE MATERIALS, ANY PRODUCTS, INFORMATION OR SERVICE PROVIDED THROUGH THE WEB SITE, OR ANY SITES LISTED THEREIN, AND THE WEB SITE WILL NOT BE LIABLE FOR ANY COST OR DAMAGE ARISING EITHER DIRECTLY OR INDIRECTLY FROM ANY SUCH TRANSACTION. THE WEB SITE DOES NOT WARRANT THAT IT WILL BE UNINTERRUPTED OR ERROR-FREE OR THAT DEFECTS IN IT WILL BE CORRECTED. THE WEB SITE IS PROVIDED ON AN "AS IS, AS AVAILABLE" BASIS. Questions or comments regarding the Web Site should be sent by e-mail to david@davidsbagels.com or by U.S. mail to 64 N. Main Street, New City, NY 10956. Telephone (845) 639-1664.